A recent paper by Milton Wainwright et al. claimed that sampling of the stratosphere revealed a diatom frustule captured from a height of >25km. 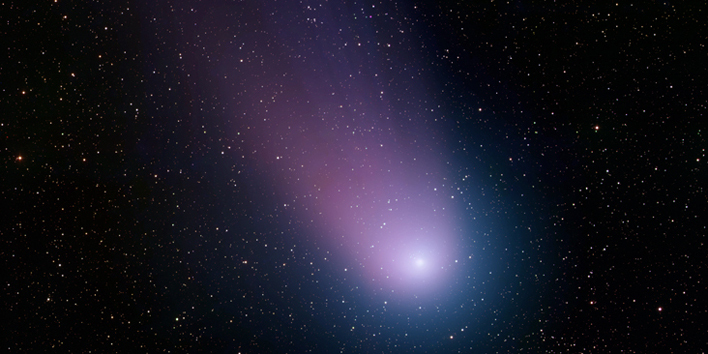 The paper, published in Journal of Cosmology, also argues that the object came from space, with a probable origin in the watery environment of a comet. Apparently just one broken diatom shell was found, not inspiring statistical confidence. No controlled experiment was reported in a dusty environment — say, using diatomaceous earth — to see if particles get past the cover. The method of peeling off the protective material on the scanning microscopy stubs was not described, and that was apparently done at ground level. Apparently, neither these nor the air blaster and swabs were tested for particles introduced in their manufacture. There are standards for how dust-free various laboratories are. These are not mentioned, so we do not know how dust-free the apparatus was before launching, nor after. There is also literature on how hurricanes and storms move diatoms through the atmosphere . In addition, supporting an Earth (rather than space) origin, bacteria and other biological materials are common components of cloud condensation nuclei, and there have been several mechanisms suggested for the transfer of particles to the upper atmosphere, as I have noted . UPDATED Sept. 22, 2013: added evidence from volcanic ash. Harper, M.A. & R.M. McKay (2010). Diatoms as markers of atmospheric transport. In: The Diatoms: Applications for the Environmental and Earth Sciences. 2nd edition. Ed. : J.P. Smol & E.F. Stoermer. Cambridge, Cambridge University Press, pp 552-559. McNichol, J. & R. Gordon (2012). Are we from outer space? A critical review of the panspermia hypothesis. In: Genesis --- In the Beginning: Precursors of Life, Chemical Models and Early Biological Evolution. Ed. : J. Seckbach. Dordrecht, Springer: 591-620. Van Eaton, A.R., M.A. Harper & C.J.N. Wilson (2013). High-flying diatoms: Widespread dispersal of microorganisms in an explosive volcanic eruption. Geology, doi:10.1130/G34829.34821. Gordon, R. & J. McNichol (2012). Recurrent dreams of life in meteorites. In: Genesis --- In the Beginning: Precursors of Life, Chemical Models and Early Biological Evolution. Ed. : J. Seckbach. Dordrecht, Springer: 549-590. Gordon, R., R.B. Hoover, J.A. Tuszynski, J. de Luis, P.J. Camp, M.A. Tiffany, S.S. Nagy, M. Fayek, P.J. Lopez & B.E. Lerner (2007). Diatoms in space: testing prospects for reliable diatom nanotechnology in microgravity. Proc. SPIE 6694, V1--V15, doi:10.1117/1112.737051.